The Lake District is a National Park in the county of Cumbria in North-West England. The Lake District is a cyclist's dream, whether you're looking for exceptional mountain biking, quiet country lanes, beautiful views or some of the most challenging cycling climbs in the UK. The Lake District offers a great variety of road cycling routes. You can follow gentle roads along the edges of some of the world most beautiful Lakeland scenary, or tackle some steep and challenging road cycling climbs followed by a cup of tea and fantastic home-made cakes. 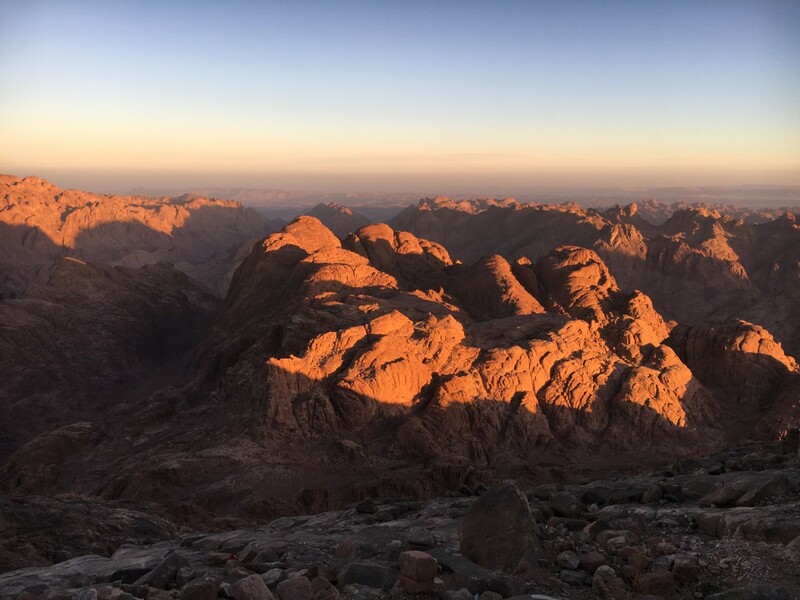 The Lake District is home to the highest mountain in England, Scafell Pike at 976m, as well as some of England's highest mountain passes which surround the area and interlink many villages and towns throughout the Lake District. While these climbs are not by any means high by European standards, British road-bulding technique prefers building a road over an obstacle to building a road meandering around it. 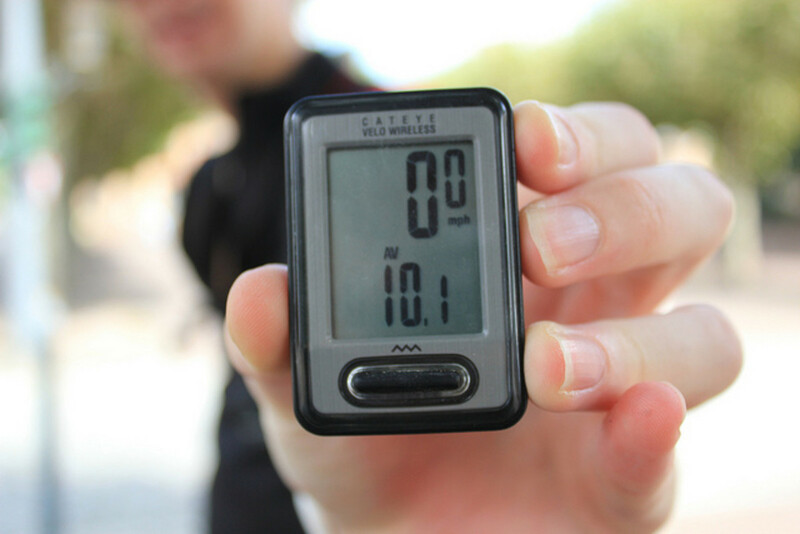 Therefore there are many more steep cycling climbs in the UK. 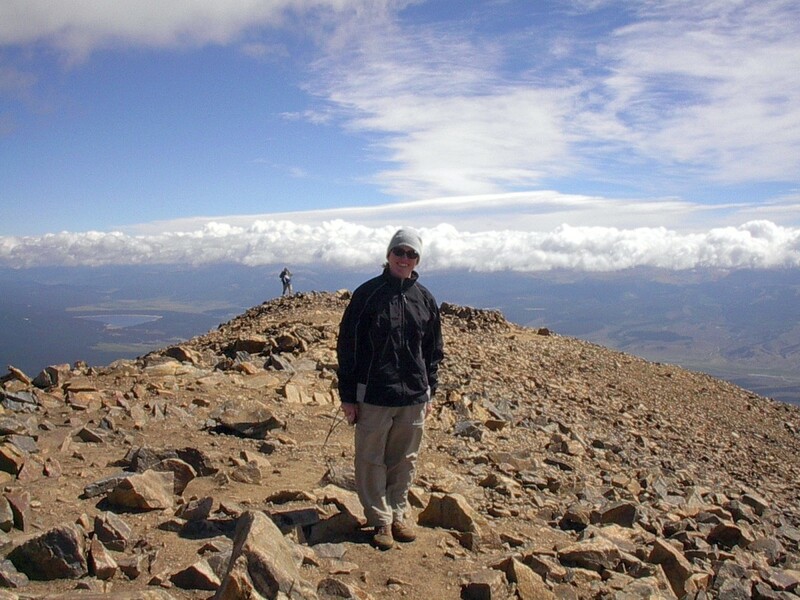 The highest of the Mountain passes of the Lake District, Cumbria at 454 meters above sea level. 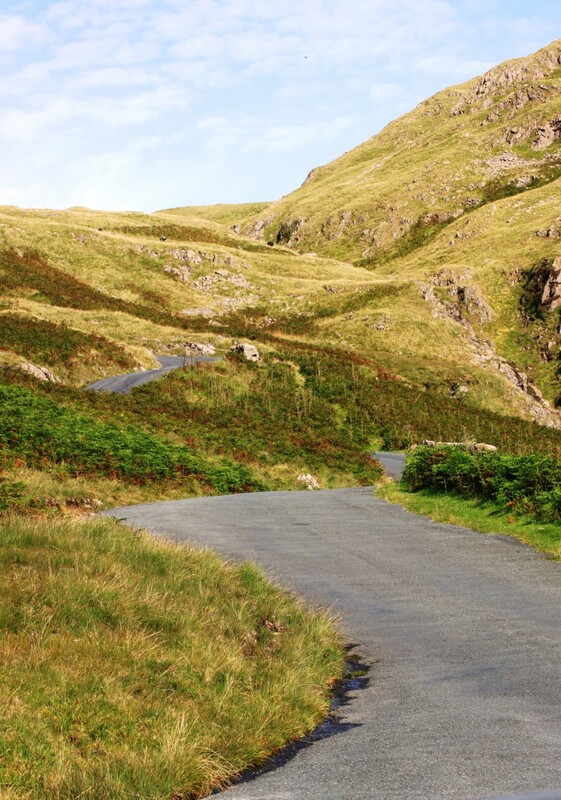 Hardknott Pass is arguably the most challenging cycling climb in both the Lake District and England. From Cockley Beck is the hardest side of the climb with sections of 30% (that's almost 1 in 3!). 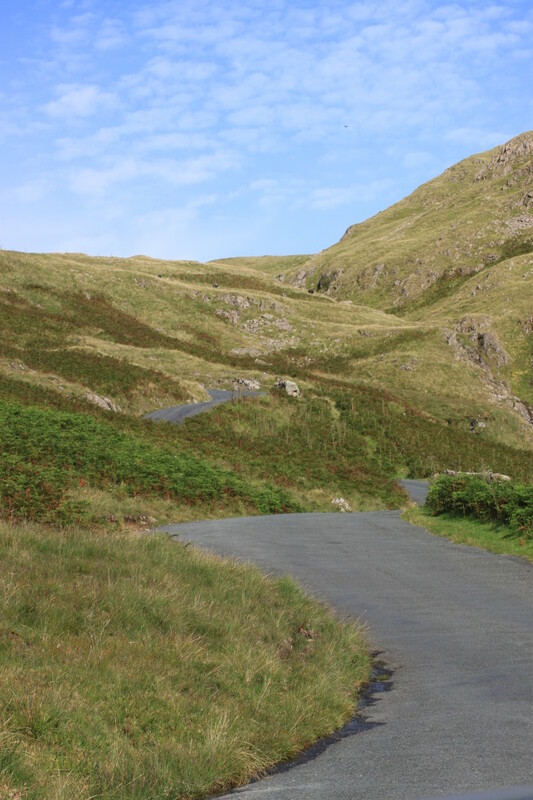 The road climbs up via a series of switchbacks up to Hardknott Fort. An old Roman Fort up high in the Pennine Hills. 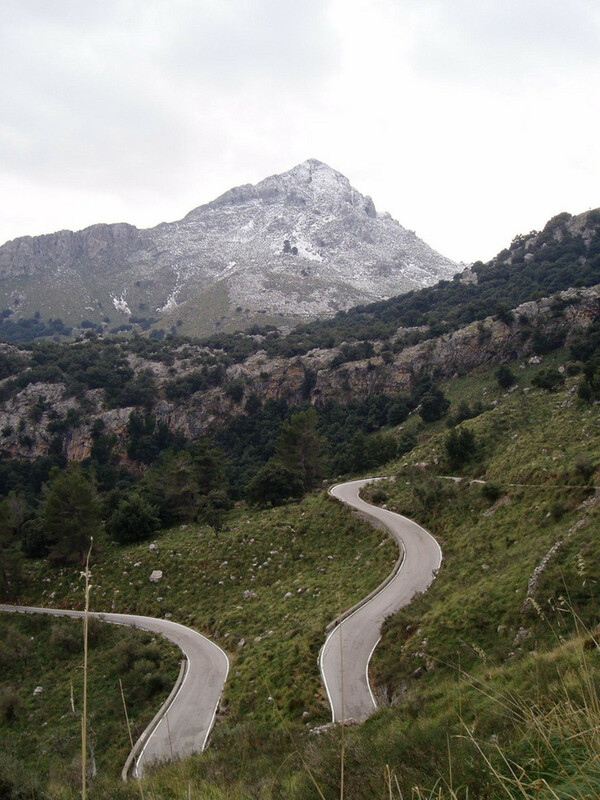 Once you're riding up you begin to question the logic of why you started the climb why you cry out for it to finish. This is a climb for which a compact chainset or even (don't crucify the author) a triple chainset could be acceptable for. 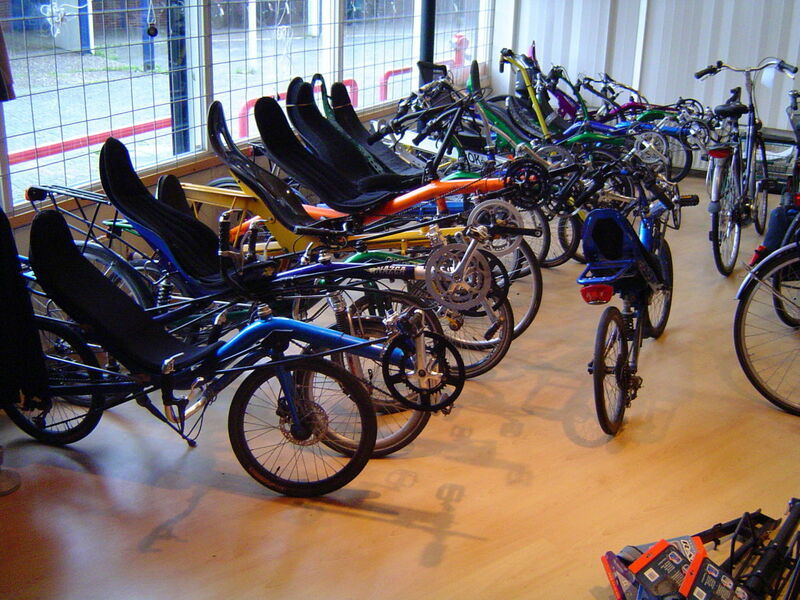 You'll still be on the rivet and in your largest cogs on the rear. 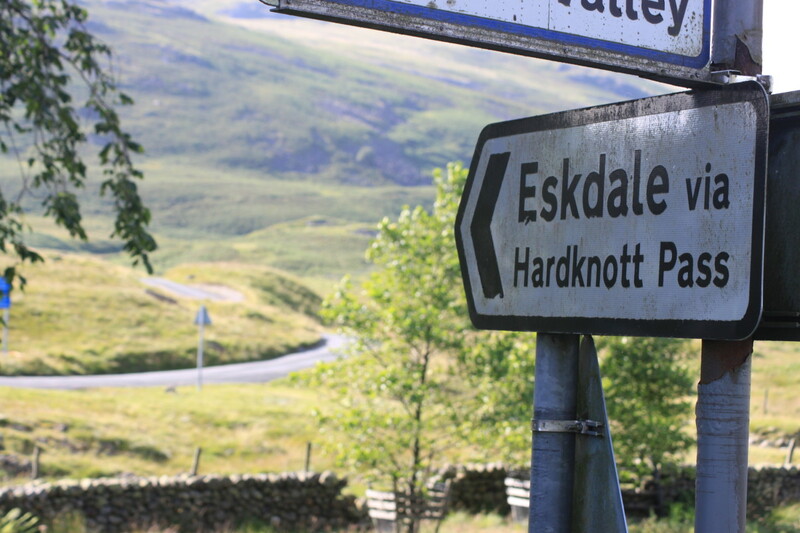 Cycling through the beautiful Eskdale valley you pass the Hardknott Brewery and Eskdale Youth Hostel before the road starts to snake upwards after a car parking area at the base of Eskdale where the switchbacks commence. Some very tight and even steeper on the insides so keep to the outsides where visibility will allow it. 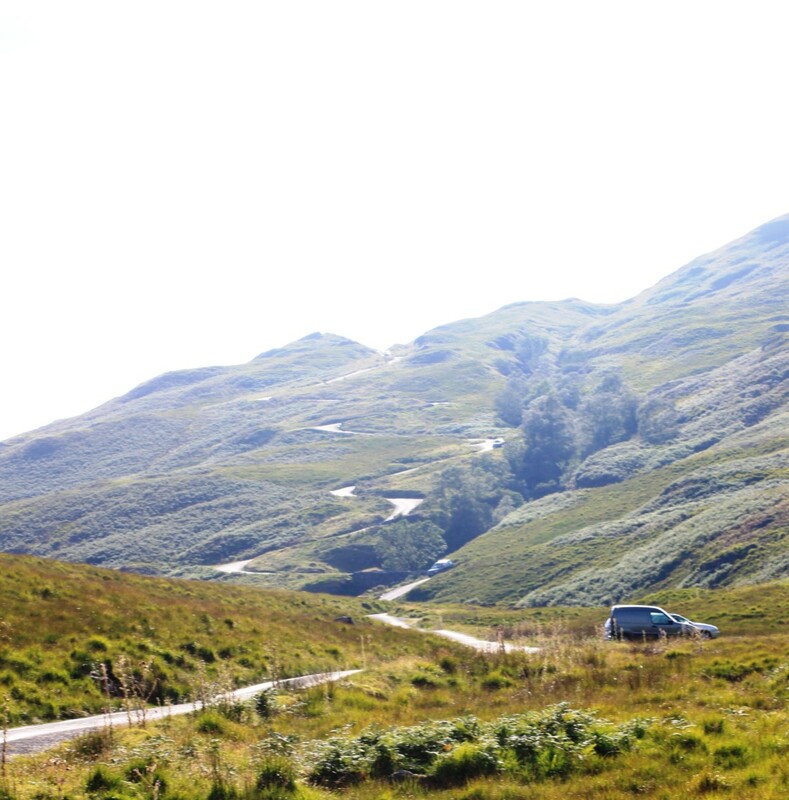 Almost 300 meters and 2.5 km of climbing later you will be at the top of Hardknott Pass with exceptional views of the Fells of the Lake District. Following the descent off Hardknott comes the almost-as-intimidating climb of Wrynose Pass. 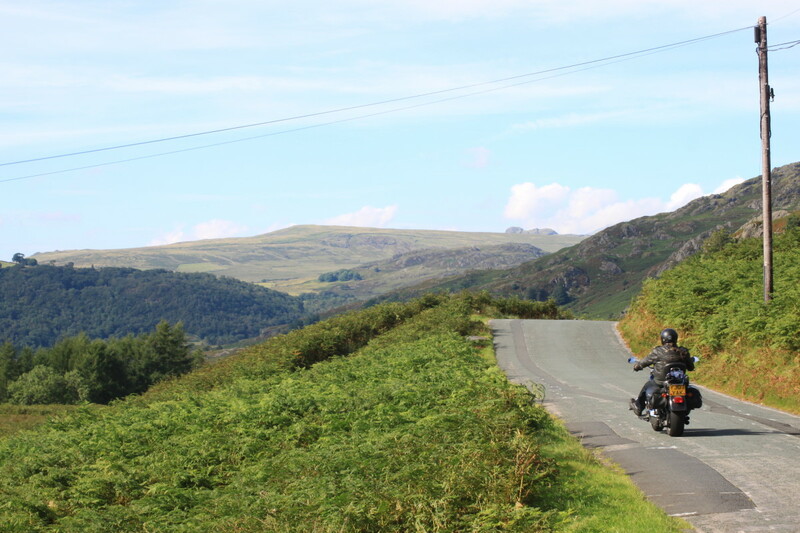 It's not quite so well known as it's next-door neighbour Hardknott Pass, but it's on the same road running from Eskdale. With sections getting up to 25% Wrynose Pass by bicycle is not quite as steep as Hardknott but just as hard work, especially if your legs are tired from an initial climb. The Wrynose Pass offers breathtaking views toward the Pike of Blisco and down into the valley to Langdale. The climb either starts from the junction at Cockley Beck with an initial ride alongside the River Duddon. 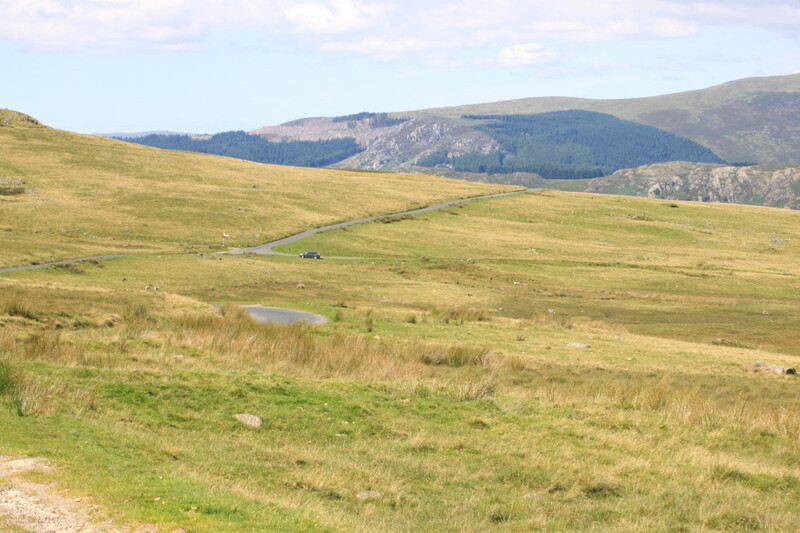 Or from the opposite direction you can start the climb from Little Landale. Looking for a cycling climb in the Lake District with amazing views? If you're looking for a cycling climb which will give you some phenomenal views of the Lake District Mountain scenary consider the climb over Birker Fell either from Ulpha, or Eskdale. It offers a rise up[ to a mountain plateau at a height of around 250 m above sea level but gives the opportunity of views over to Harter Fell, Dow Crag, the Old Man of Coniston as well as the Scafell Massif, Bow Fell and Crinkle Crags. Barker Fell offers amazing views while cycling in the Lake District. 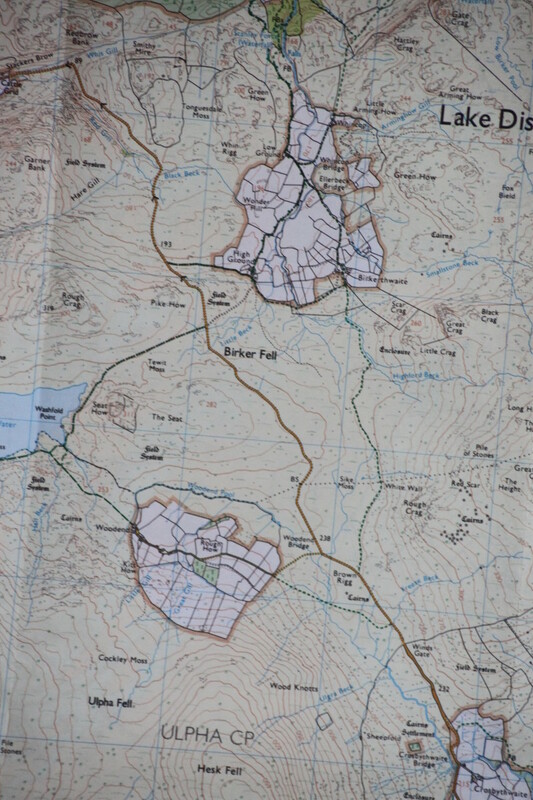 The climb over Birker Fell is not excessively challenging,m although if you start in Ulpha village it does initiall kick up to around 15% gradient for the first half a kilometre. Once over the initial difficult section the views over the many Fells from your bike will be worth the effort. 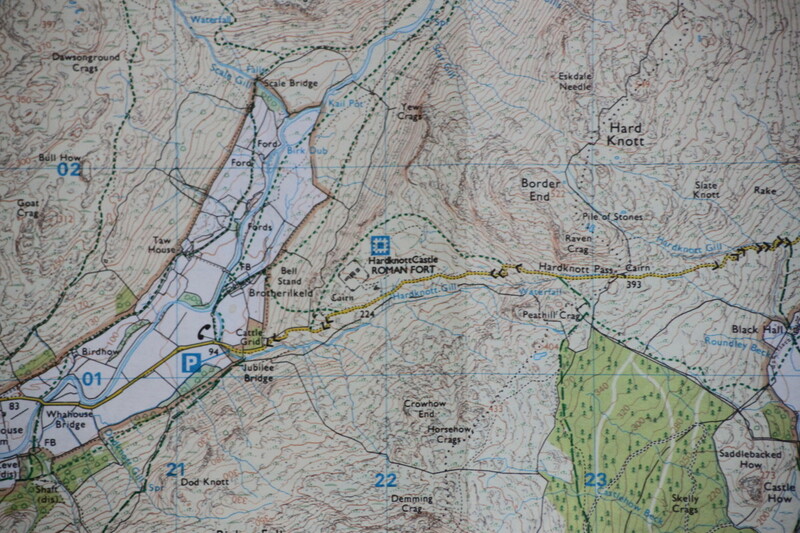 The Kirkstone Pass is the highest mountain pass to cycle in the Lake District. 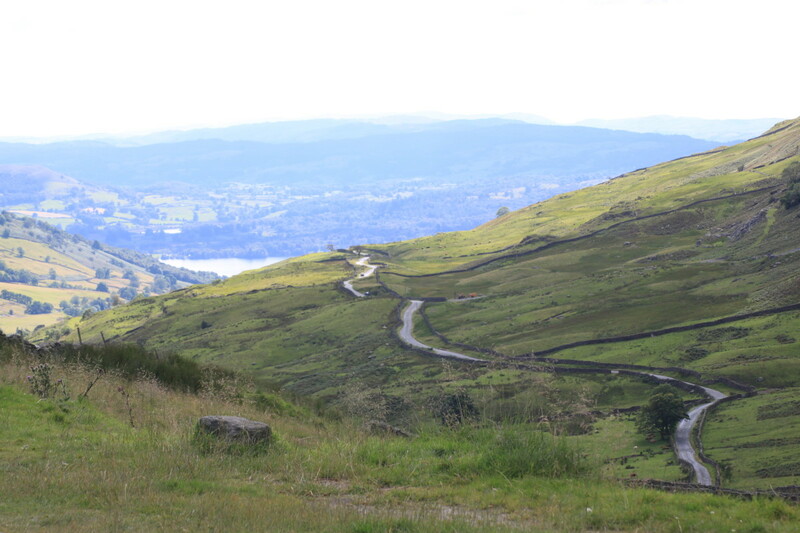 The road climbs instantly out of Windermere on the A592 road which offers fantastic views of the high Fells of High Street, Ill Bell and Harter Fell which look incredibly imposing out in front as you climb gradually up to a height of 454 m above sea level over the course of 5 miles. Some sections kick up to around 10% but generally this isn't a challenge in the same league as Hardknott Pass in terms of steepness and relentless gradient. Atop the climb of the Kirkstone Pass lies the Kirstone Pass Inn which is a great opportunity to stop and wait for anyone that may be behind you or simply take in the views. The hardest climb of the Kirkstone Pass is via 'The Struggle' which heads out of Ambleside on a minor road which leads to a 20% end section up to the Kirkstone Pass Inn and is shown in the distance below. 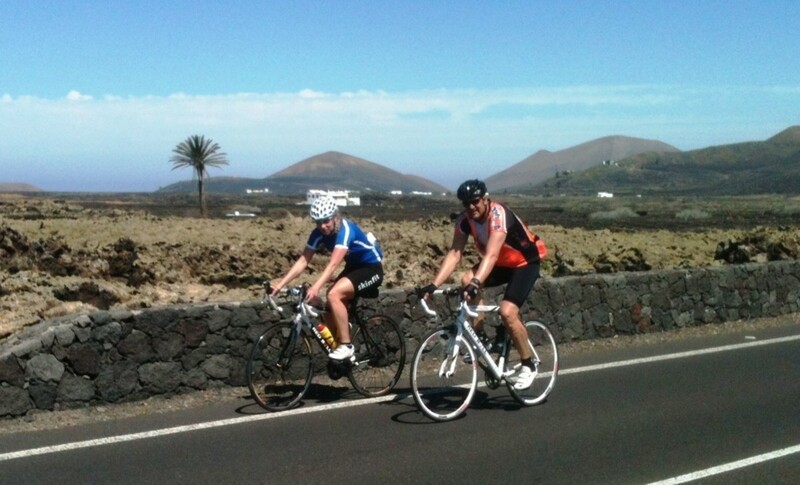 Both are great cycling climbs to ride in the Lake District and offer stunning views. We hope you've enjoyed this guide to the cycling climbs and high mountain passes of the Lake District. If there's a particular pass you feel should be included or you would like to have your say please feel free to do so in the comments below. 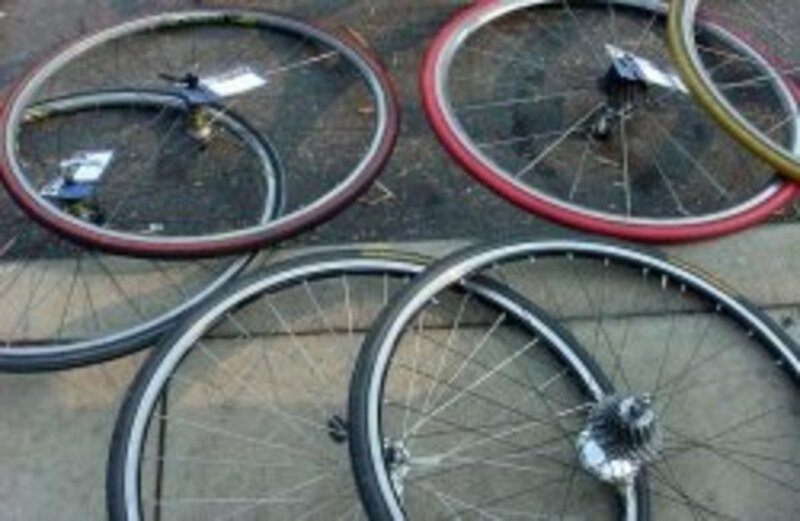 Alternately if you have any photo's that you would like to see on this page please contact CyclingFitness (via his profile) who will add them to the article. The Lake District is a magical place for cycling for which we would love to share our love for.